With the upcoming Golden Anniversary Celebration of 50 years since the incorporation of the American Philatelic Research Library (APRL) just around the corner (November 2-3), one of the genuine highlights of the event will be the Celebration Dinner with keynote speaker Herman Eberhardt. 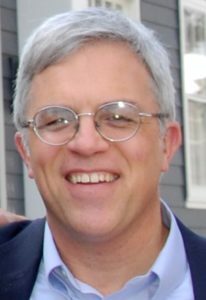 Having over 25 years of experience as a curator and interpretive planner of temporary and permanent museum exhibitions prior to joining the FDRLM in 2003, Mr. Eberhardt is currently the Supervisory Museum Curator of the Franklin D. Roosevelt Presidential Library and Museum (FDRLM) in Hyde Park, New York. This past Thursday (May 3) the Spellman Museum of Stamps and Postal History on the campus of Regis College in Weston Massachusetts celebrated the 100th anniversary of US air mail with its annual postal history symposium titled “A Century of US Air Mail”. Four speakers were invited to talk on various aspects of air mail and postal history. Yamil H. Kouri, Jr. 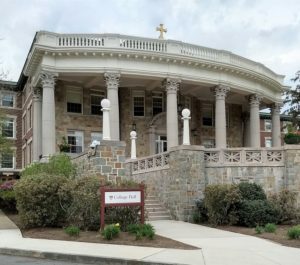 Chair of the Spellman began the symposium and introduced each of the day’s speakers in a room at College Hall on the campus of the prestigious and picturesque Regis College. This past weekend I had the opportunity to attend an informative lecture about the postal history between Canada and the United States during the Civil War. The talk was titled “Canada – British North America (B.N.A.) Union and Confederate Postal Cross Border Correspondence during the U.S. Civil War” and was given by prominent B.N.A. philatelist and award winning exhibitor Ron Majors. The talk marked one in a series of postal history lectures organized by APS member and noted postal historian Bill Schultz in conjunction with an extraordinary exhibit concerning postal history titled “You’ve Got Mail!” currently on display at the Chester County Historical Society Museum (http://www.chestercohistorical.org/) in downtown West Chester, PA from November 24, 2017 through April 28, 2018. The Canadian Stamp Collection is a new permanent exhibit opening March 28, 2014 at the Canadian Museum of History. The exhibit will highlight the stories behind some of the 500,000 stamps in the Museum’s philatelic collection. 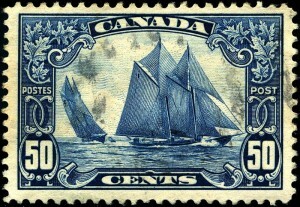 Read more about the Canadian Stamp Collection exhibit on the Museum’s website. Among my philatelic collecting interests are postal items related to philatelic libraries and museums. Included in my collection are a number of covers and letters mailed by the National Philatelic Museum which was located in Philadelphia. 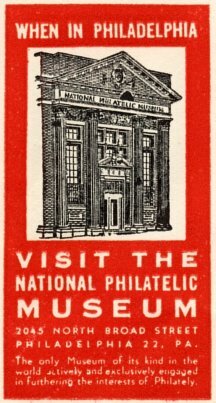 The story of the National Philatelic Museum and its impact on philately is very interesting. The American Stamp Dealer & Collector magazine which is edited by Randy Neil featured the museum in its November-December 2008 issue followed by more information in the January 2009 issue. The museum was founded in December, 1948 by Bernard W. Davis, a former banker and philanthropist. It went out of business in 1960 or 1961. The museum promoted itself as “The only Museum of its kind in the world actively and exclusively engaged in furthering the interests of Philately.” The museum hosted numerous philatelic exhibits and conventions and produced a series of 36 publications on various aspects of philately. The publications have been treated by libraries as a single serial collection and as individual books. The American Philatelic Research Library has the entire collection. 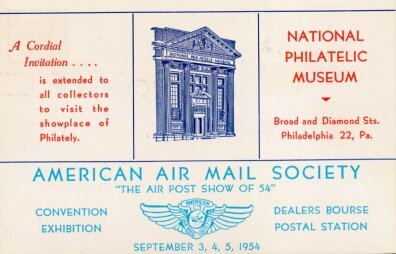 The museum had a close relationship with Temple University and sponsored courses on philately. The museum had an extensive library. 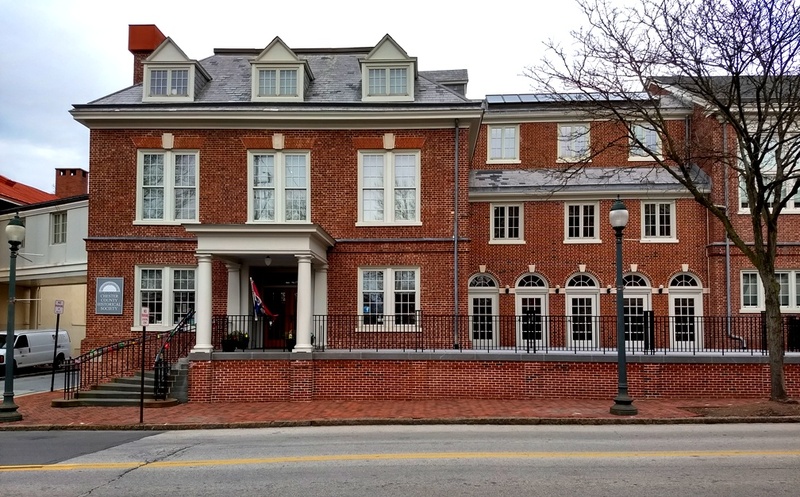 When the museum was closed its library and collections went to the Spellman Museum of Stamps and Postal History in Weston, MA. Bernard Davis has been honored with several philatelic awards including the Luff Award of the American Philatelic Society. Postcard pr0moting “The Air Post Show of 54”. The Arizona Capitol Museum in collaboration with The Peggy Slusser Memorial Philatelic Library of the Postal History Foundation is having a grand opening of a new exhibit titled “Words from the West: Arizona Stories and Stamps” today at the State Capitol in Phoenix Arizona. The exhibit will on display through the Spring of 2012 and will be a part of Arizona’s State Centennial celebration. Arizona achieved statehood on February 14, 1912. A press release gives more details about the exhibit. The Slusser Library and the Postal History Foundation have been involved in the creation of several online digital collections related to Arizona postal history in conjunction with the Arizona Memory Project of the Arizona State Library, Archives, and Records Division.